A new Predator movie is in the works, a linear sequel to the original 1987 film. Shane Black from Lethal Weapon fame is on board as director and screenwriter. Black starred in a minor role in the original movie as Hawkins. This will be the fifth film in the Predator universe, if you count the Alien vs Predator movies, but the first linear sequel. Both the 1992 simply titled Predator 2 and the 2010 Predators films did mention Arnold Schwarzenegger’s stint battling the Predator in the Latin American jungle, so the events must take place in the same universe in some form. But, we get the impression that little attention will be paid to any of the other movies in the franchise. What do we know about the movie so far? 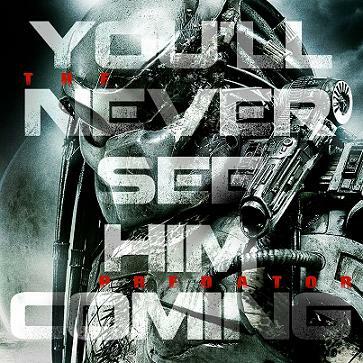 The title will be “The Predator”, which Shane Black is co-writing with Fred Dekker (Robocop). Actors Trevante Rhodes, Boyd Holbrook, Olivia Munn and Keegan Michael-Key are confirmed as starring in the picture. Both Rhodes and Holbrook are playing former marines. Very minimal details are available on the plot, but the action will apparently be set in the modern day. The Predator will begin shooting later this year and has a scheduled release date of February 9, 2018.